The Best Horse Practices Summit will feature an outstanding roster of presenters in October, in Durango. Collectively, they will offer an intense, multi-dimensional set of tools to improve your understanding of your horse and horsemanship. Please note: More offerings and electives will be announced in the coming months. 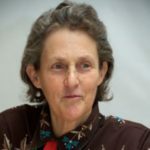 Dr. Temple Grandin, author of numerous books, subject of an award-winning movie, and recent inductee to the American Academy of Arts and Sciences, will deliver our keynote address on October 8. 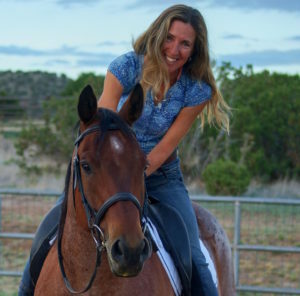 Her presentation will provide insight to how horses see and learn. We will learn about the unique digestive system and lifestyle of the horse to understand why forage based feeding is essential to basic equine welfare. 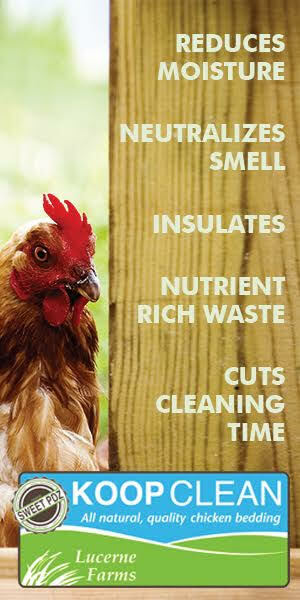 Common feeding fallacies will be discussed as well as science-based recommendations for a variety of equine athletes. Dr. Rebecca Gimenez trains veterinarians, firefighters, animal welfare officers, and horse owners in tackling incidents consistently found in large animal rescue scenarios and situations, and how to create prevention solutions for their communities and facilities. 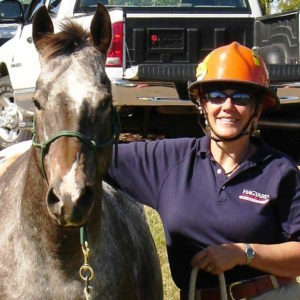 Her Summit presentation will focus on preparation for specific hazards and simple rescue techniques for individual horse owners, including responses to barn fire and wild fire situations, on-the-road trailer accident scenarios, and mud/ice/swift water conditions that may seem innocuous, but critically trap animals. Dr. Gerd Heuschmann, the German veterinarian, rider, and author, was a hugely popular presenter at our inaugural Summit. His multi-media presentation will focus on the horse’s biomechanics. There are balance differences between horses used historically as workhorses and classically trained horses. Interesting graphics and a 3D animation explain the resulting training principles. Similarities and differences become clear in ways that can help coaches, riders, and instructors. A further focus will explain the impact of correct and incorrect training methods on the horse’s body. He is a neuroscientist specializing in brain functioning. 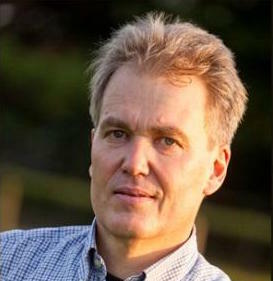 As a horse brain researcher, he has given numerous presentations in the U.S. and Canada, performed many horse brain dissections, and is the co-author with Martin Black of Evidence-Based Horsemanship. His presentation will provide an overview of the organization and function of the equine nervous system, the importance of neurochemistry especially the dopamine system in reward and learning. Peters’ presentation will dovetail with the first arena presentation with West Taylor. Peters will also offer a short seminar on the Healthy Rider Brain, which was a popular 2017 elective. 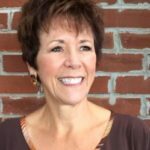 This presentation will focus on how to maintain optimal brain functioning and reduce the risks for developing dementia through a multi-faceted approach to wellness. 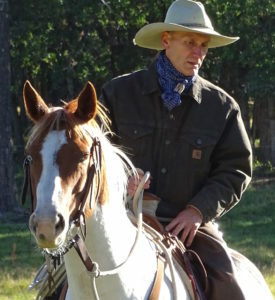 West Taylor is a renowned mustang trainer from Fremont, Utah, who has partnered often with Dr. Peters to offer horse brain science seminars. 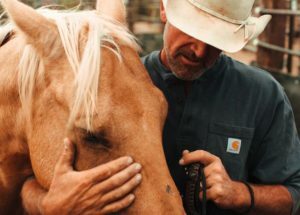 No one’s doing a better job of connecting brain science with horsemanship in an innovative, easy-to-grasp, fashion than Taylor. In two arena presentations and in collaboration with Dr. Steve Peters, Taylor will demonstrate how to maximize progress with a young horse by embracing science-based techniques. Katrin Silva grew up riding dressage in Germany before moving to the United States at age 19 to learn to ride Western. She’s been riding both disciplines for the last twenty years and is a regular BestHorsePractices columnist. She lives in New Mexico where she works with dressage and Western clients. 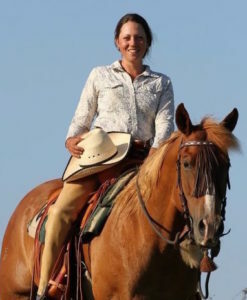 Amy Skinner is a regular BestHorsePractices columnist and has been a horse gal since age six. She works with owner/operator Jim Thomas at Bar T Horsemanship where she rides and teaches English and Western. Skinner has studied at the Royal Andalusian School of Equestrian Art in Spain, with Buck Brannaman, Leslie Desmond, Brent Graef, and many others. Over two days, Silva and Skinner will ride green and more finished horses to show how solid horsemanship can relate equally to dressage work and cow work. Additionally, they will demonstrate how to move toward more accomplished places of softness and finesse with less experienced horses. Silva and Skinner will show, for instance, how relaxation in a low frame is the foundation of more advanced work. Recreational and serious riders alike will love these presentations. Because correct riding in any type of tack makes horses mentally happier, keeps horses sound longer, develops proper muscling, and helps make up for conformational shortcomings. Correct riding makes every horse more enjoyable to ride and more beautiful to observe. This looks like another amazing lineup! I’m so exited! This is a really exciting lineup of presenters! So looking forward to the Summit again this year! Its amazing that such a top notch group of presenters are all together in one place. I heard from people who went last year and they told me that their heads were spinning from all they learned (they are coming back again). To be able to hear great presentations and to be able to talk and mingle with these world famous educators is incredible! I have been to Durango and I cant think of a better place to have this summit, what a cool western town. I wont miss it this year, I intend to be in the front row. looks great..looking forward to another rewarding conference!